How Long Will The Weslo Cadence G 5.9i Last? Though the Cadence G5.9i does have an above average build for its price range, it is important to keep in mind what we are reviewing. A basic treadmill such as this one is the equivalent to a piece of tissue that you put on a cut that will last long enough until you can get an actual band-aid. Like any cheap machine, the Cadence G5.9i will likely see the most years if kept in an ideal environment and used by someone who enjoys the casual walk every now and again. Still, the amount of quality matches the price tag and the life expectancy bar should not be set too high. The Cadence G5.9i has won our Third Place 2019 Best Buy Award for the $399 and Under Price Range. We have found that the Cadence G5.9i has a decent build among treadmills with this price tag which has helped it win our award. But before we discuss the features that make a significant difference for the Cadence G5.9i treadmill’s quality, let’s knock out a few that are less important. Weslo advertises the Cadence G5.9i treadmill’s Impulse motor, QuickSpeed Controls, LCD window, comfort cell cushioning, and SpaceSaver design. When you actually look into these features, you can see why Weslo has gotten a little creative with the names because they are really nothing special. The Impulse motor which looks to be their way of saying that the Cadence G5.9i’s motor reacts quickly and has internal cooling components. I.E. the Cadence G5.9i’s motor has a fan, which nearly every motor on the planet has so that it doesn’t overheat. 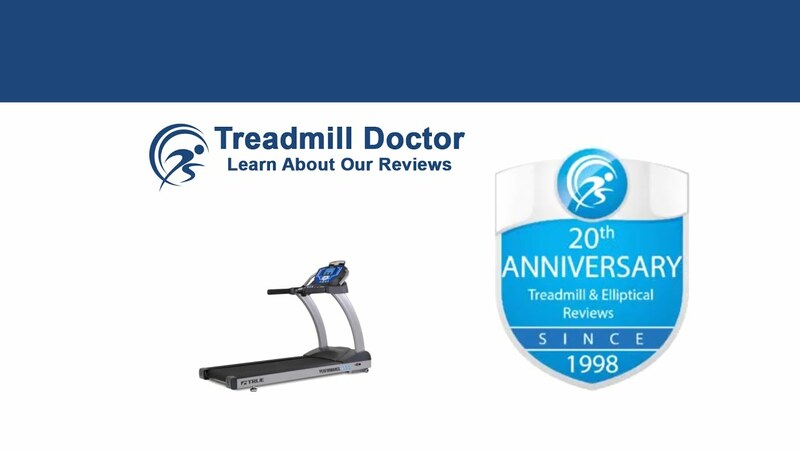 QuickSpeed is a trademark of Icon brand treadmills. Since Welso is a part of the Icon family, the Cadence G5.9i treadmill’s buttons will also be advertised as QuickSpeed Controls. They are just buttons, so don’t spend too much time trying to figure out why Icon insists on bringing attention to them. Oh, and the Cadence G5.9i’s LCD window, this one is a little more fun. Weslo has decided to save a little money and use a display that has less quality than an old CD player. But instead of skipping over their cheapskate quality, Weslo brought attention to their pitiful screen by calling it an LCD window. The Comfort Cell cushioning is another uneventful feature; this fancy term means that Welso, like all other treadmill companies, built the Cadence G5.9i with shock absorbers. Lastly, you see the other Icon brand term. The SpaceSaver Design is Icon’s fun way of saying that the Cadence G5.9i is a folding treadmill. Don’t get too excited, nearly every other treadmill under $1,500 dollars folds. While there are a few features that help give this treadmill an edge, one must remember that this is a basic treadmill. Comparisons between these types of treadmills can mirror a comparison between a cracker with salt and a cracker without salt. It is important to keep in mind that it is still a cracker in the end. Though the Cadence G5.9i is not the sturdiest machine in this price range, it has some treadmills beat by a somewhat wide margin. The overall build of a machine often indicates the durability of the machine. While this is still a basic treadmill, the overall build of the Cadence G5.9i reveals an amount of quality that sets it apart from other treadmills in this price range. With that said, Weslo’s Cadence G5.9i is equipped with the same basic features that seem to follow every treadmill in the lower end market: foldability, a few built-in workouts, and a sixteen-inch walking area (standard for this price range). Weslo has also given a one-year motor drive and ninety-day parts and labor warranty for this machine; while not the best, this is an average warranty for this price range that does give a hats off to the overall value in this baseline treadmill. One feature we do not like, however, is the incline capability. If these treadmills are like a basic ham sandwich, then Weslo forgot the mustard. They gave a two-position incline in the Cadence G5.9i which is pretty sad when the other most basic treadmills have the capability to incline up to ten percent with degree optionality. It seems as though Weslo has cut a corner where other companies have not. Throughout the years, we have regarded Weslo’s Cadence G5.9i as a very basic machine that looks better than others in this low-price range but won’t necessarily give more quality. We have expressed concern for users who purchase these basic machines with the expectation that they will withstand years of use as many times a user can spend more money repairing these rudimentary treadmills than if they were to simply buy a better-quality model. We have awarded the Weslo Cadence G5.9i Third Place in out 2019 Best Buy Category for the $399 and under quality with its standard features and decent build. We like to see efforts to help machines standout among others and the sturdiness of Weslo’s low-end model, while not the best, is a nice additive. With that said, we are sorely disappointed to see the two-position incline that is undoubtedly a cut corner on Weslo’s part. Overall, the Cadence G5.9i is a starter treadmill that is best suited for light walkers who exercise every once and a while. Non-usable till you download their app and sign up for a trial fitness tracker. The only problem is it's not free and they won't accept cancellations. TREADMILL will NOT WORK unless you download the app, activate your membership, and they have your credit card information for the trial. Following which canceled the trial the very next day, however month later still got charged for the membership. Called them on the very day of the transaction, very rude and not accepting cancellation, showed them proof on my app showing membership inactive, still would not accept. The treadmill is decent, but be cautious. I am a medium built woman with many years training pro-athletes in orthopedics/sports medicine. I was able to fit the box into my vehicle and get it up one flight of stairs with no problem, by myself. Assembly was a breeze and also done solo (IKEA is more difficult to assemble) and it is everything that it should be. Noise- this is a quiet machine. Anything with a motor will make noise but your feet pounding the track will be louder. Most of us have earbuds in any way. You may need an electric screwdriver for the release piece for a secured fold up. Push the blue button 10-20 to start.